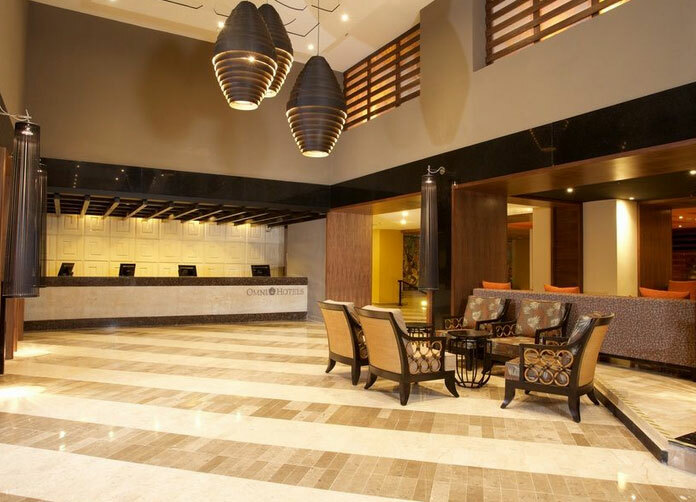 There may not be many other hotels in the Cancun area that matches the Omni Cancun Hotel and Villa for style and texture. The Omni’s unique Mexican design give this hotel a truly unique experience, you’ll be able to enjoy all that Cancun has to offer including its surreal lagoon sunsets and its wonderful ocean views. With four beautifully decorated rooms to choose from at the Omni cancun each of them taking spaciousness and comfort to a whole new level, there won’t be a wrong choice with whichever room you choose. 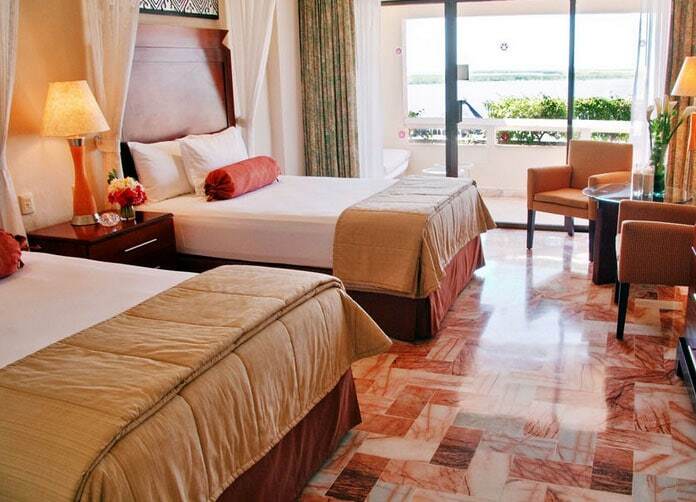 The Deluxe Ocean View room has a comfortable and abstract setting with uniquely designed tile on the floor, and a beautiful balcony opening onto the Ocean; while the Deluxe Lagoon view offers the same amenities with a touch of the Lagoon side of the beautiful Caribbean. The Omni cancun Junior Suite take it one step further with a large sitting area and a beautiful king size bed or two double beds to pick from. With the Villa you’ll have a mini-house as your own personal getaway, equipped with a full kitchen and half bath, dining room area seating for 6 and a living room with a walk out patio on the first floor, the second floor is where you’ll find a king size bed and a private bathroom with shower. 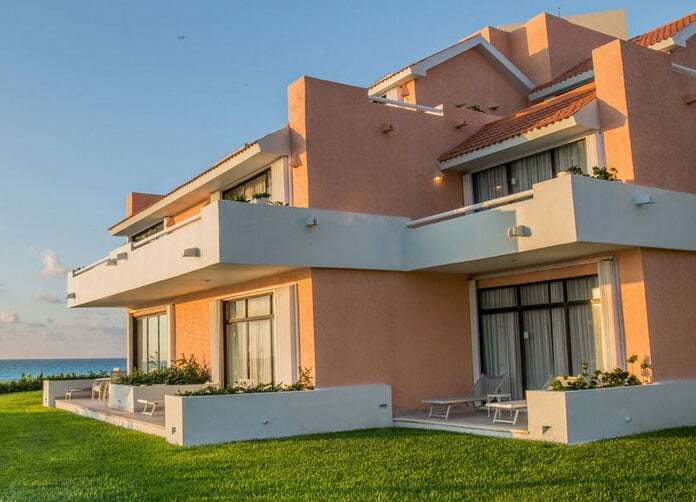 Believe it or not, there is also a third storey where the third bathroom and a king bed with a private bathroom and shower and an exceptionally large sun deck lay, just waiting to be used! 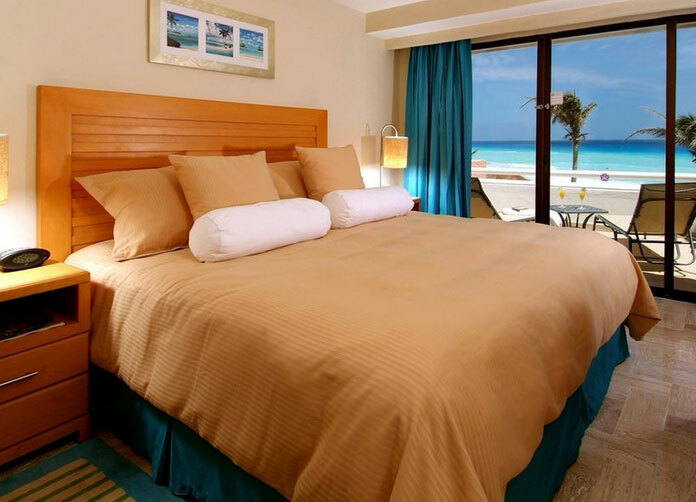 With all the fun activities you’ll find at the Omni Cancun, I doubt you’ll be staying in your room for long though. 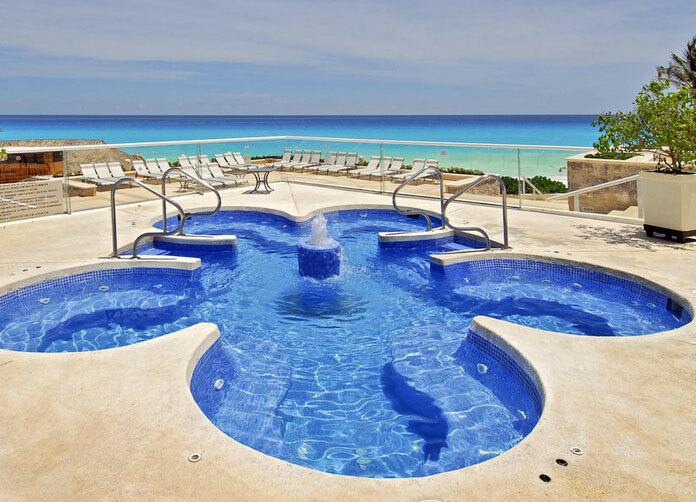 The star-fish shaped Jacuzzi against the Caribbean backdrop will seem too much to be true, and with a superiorly large pool, you’ll find relaxing will not be a hard task to complete at all. If you brought the kids, they’ll love their very own pool and Kids Club with personalized characters dressed up like Disney Land, and with crafts and activities to do all day, they’ll have a blast while you and your loved one enjoy the rest of the Cancun. 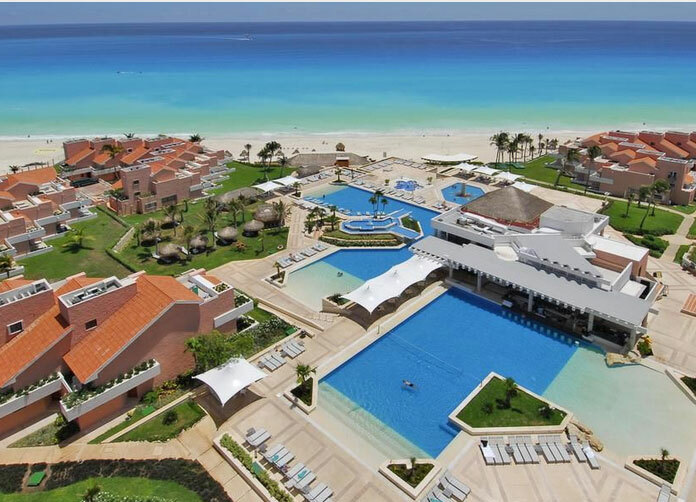 You can also enjoy the excellent All Inclusive package with all beverages available for no extra cost, three or more regular meals a day with 24 hour Room Service and tons of entertainment available. 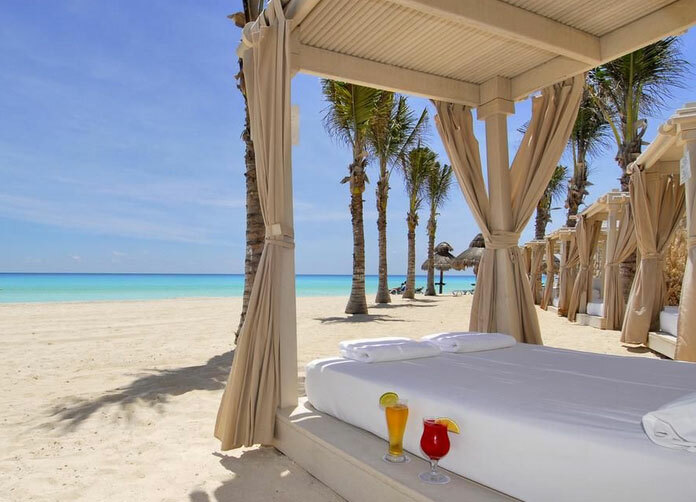 Take a stroll down the sandy beach and you’ll find individually lain beds with a Roman gesture of elegance as each bed is covered and sheathed with fabric and care. 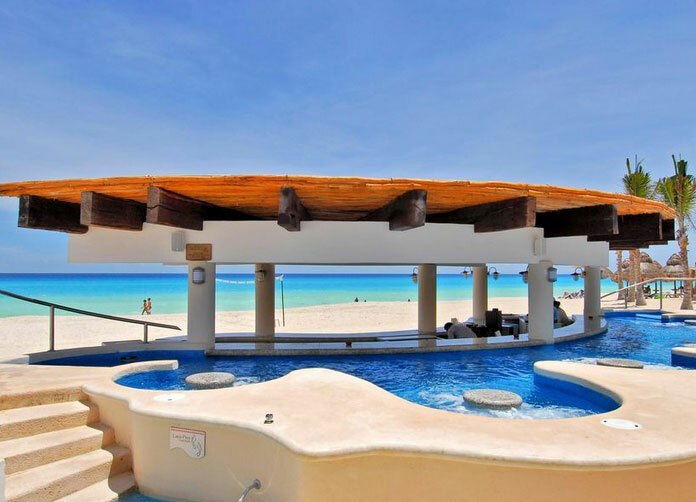 While you’re at the beach take advantage of Kuku’s Jacuzzi Beach Bar where you can enjoy cool water and tropical drinks all at the same time you’re enjoying the sun shine. 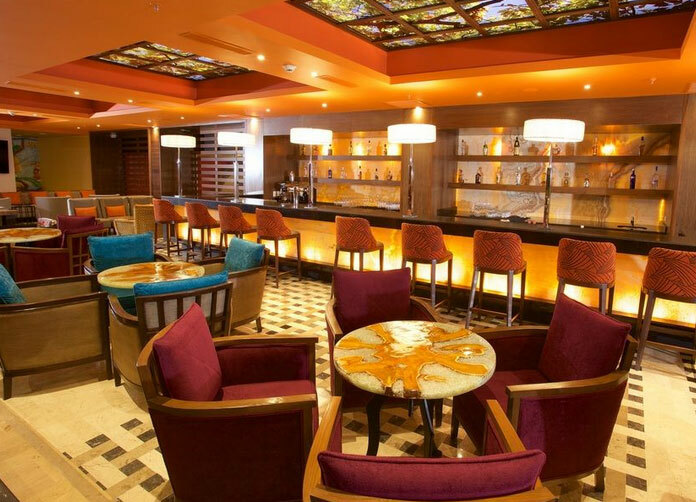 Having an extra sense of luxury the Lobby Bar at the Omni Cancun will provide excellent drinks and a great setting so you can converse with old friends and meet new ones. Or perhaps as the night progresses you may want to get your fill with some superb restaurants. Well at least, you needn’t look any further. Da Vinci: For mesmerizing dining at this romantic restaurant you’ll find an exquisite array of Italian and Mediterranean foods to send you wild, and with the excellent service they offer, you’ll be sure to want to come back. La Paloma: This restaurant, open all day, serves a bit of Mexican food and a special International cuisine. 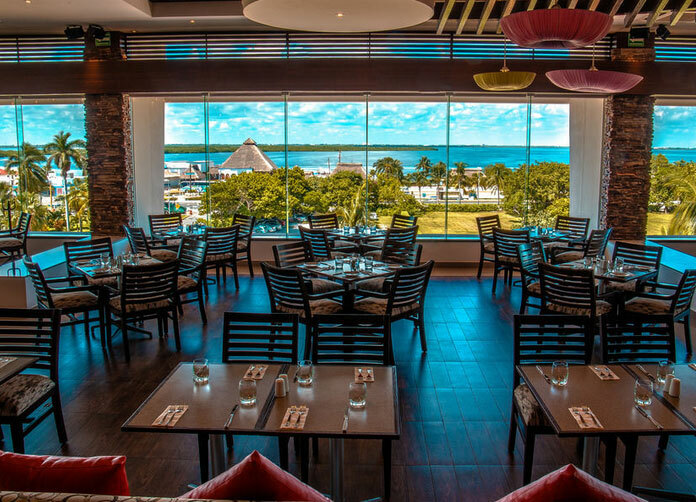 Pina Colada: Situated on the beautiful sandy beaches of the Cancun, this charming restaurant is open for breakfast and lunch and serves a great menu of seafood and American cuisine. Address: Boulevard Kukulkan L-48 Km. 16.5 M.53, Zona Hotelera. Cancun, Quintana Roo.